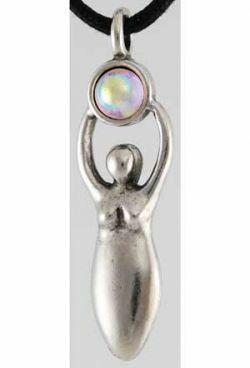 This amulet shows the Goddess, raising her hands above her head as the source of all life and the connection that binds all things. Made in USA. Has cord. Pewter. 1 1/2" x 1/2"